The Jamrog Group's charitable giving and volunteer work focuses specifically on organizations which encourage, support and develop women and children as leaders. 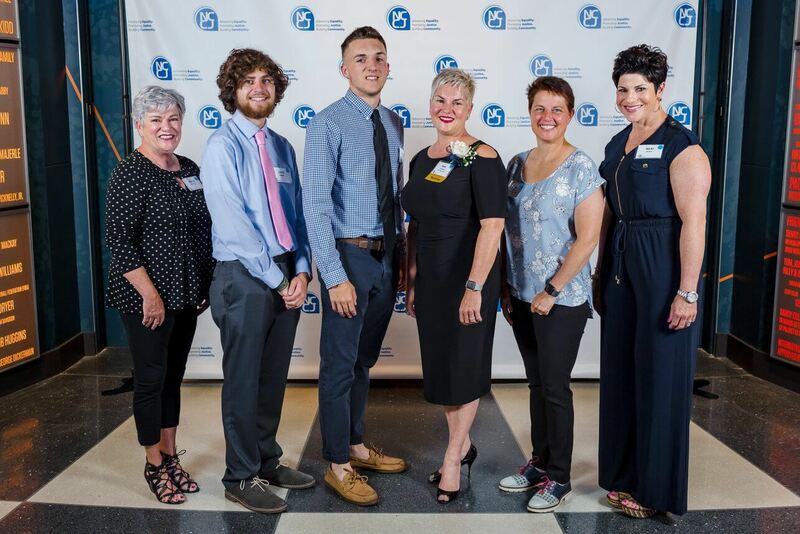 We proudly sponsor many local non-profits including Tech Foundry , The National Conference for Community and Justice (NCCJ), The Community Foundation of Western Massachusetts, The Cancer Connection, and The Women's Fund of Western Massachusetts. In 2018, Amy Jamrog was the recipient of the NCCJ Human Relations Award. This honor is bestowed on members of the community who demonstrate high standards of responsible leadership and contribute to promoting understanding, inclusion and respect for all people. Amy Jamrog’s 20 years of volunteer work with the Women’s Fund earned her the prestigious Northwestern Mutual Community Service Award in 2015. The Northwestern Mutual Foundation gave $15,000 to the organization in honor of Amy’s commitment over the past two decades. Amy Jamrog has been a Trustee of The Community Foundation of Western Massachusetts (CFWM) for the past eight years and chairs their Philanthropic Services Committee. Amy was acknowledged in the Community Foundation's Annual Report when she and a local attorney teamed up to help an anonymous couple make a complicated gift of real estate to the Foundation to establish a donor advised fund. Amy is a Board Member of Tech Foundry which focuses on recruiting, training and placing high school students and others at entry-level technology jobs throughout the region. If you don't know about Tech Foundry, you'll want to click on the link above because the organization is making a huge impact in the Greater Springfield area! Amy Jamrog serves as a Trustee of Health New England, a local health insurance company and subsidiary of Baystate Health. The Jamrog Group also manages investment portfolios and endowments for many local non-profits. If you run a non-profit and want to hear how we can help with your portfolio, give us a call. Amy Jamrog uses The Jamrog Group as a marketing name for doing business as a representative of Northwestern Mutual. The Jamrog Group is not a registered investment adviser, broker-dealer, insurance agency or federal savings bank. Northwestern Mutual is the marketing name for The Northwestern Mutual Life Insurance Company, Milwaukee, WI (NM) (life and disability insurance, annuities, and life insurance with long-term care benefits) and its subsidiaries. Amy Jamrog is a Representative of Northwestern Mutual Wealth Management Company® (NMWMC), Milwaukee, WI (fiduciary and fee-based financial planning services), a subsidiary of NM and limited purpose federal savings bank. All NMWMC products and services are offered only by properly credentialed Representatives who operate from agency offices of NMWMC. Amy Jamrog is an Agent of Northwestern Long Term Care Insurance Company, Milwaukee, WI, (long-term care insurance) a subsidiary of NM. Amy Jamrog is a Registered Representative of Northwestern Mutual Investment Services, LLC (NMIS) (securities), a subsidiary of NM, registered investment adviser, broker-dealer and member FINRA (finra.org) and SIPC (sipc.org). Amy Jamrog is an Insurance Agent of NM. Amy Jamrog is primarily licensed in MA and may be licensed in other states.